During its theatrical release, Che screened across the country in a "traveling roadshow" format with both parts shown together with an intermission between them. Each part runs longer than two hours, but they connect well to offer two very different looks at Che's attempts to foster a revolution. I loved the first part and was surprised at how engaging I found the story of his efforts to overthrow the Cuban government. Would the second part maintain this high level? Let's get to the questions to find out the answer! 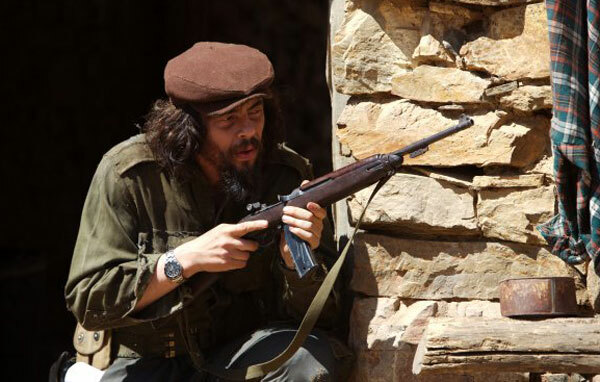 Ernesto "Che" Guevara (Benicio Del Toro) has become famous around the world after the remarkable success of the late '50s revolution in Cuba, which placed Fidel Castro in power. In 1967, he traveled secretly to Bolivia to form a guerrilla force to battle that country's government. This was a much different situation than Cuba, however. From the start, he faces major challenges from the army and receives little support from local residents. After a series of setbacks and little success, Che's escape options are limited while facing a relentless enemy. His opponents are led by Alejandro Ramirez (Yul Vazquez), a determined guy from Cuba who has a personal stake in bringing Che to justice. 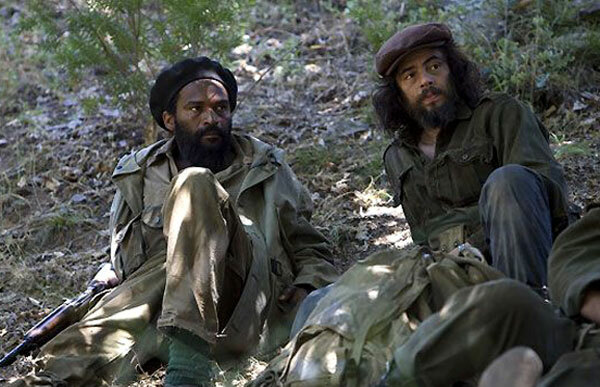 Similar to its predecessor, Che, Part Two offers an intriguing mix of both sides of Soderbergh's work. However, this film drifts closer to the indie side because it's such a rough experience for Che. Once his plans start collapsing, it quickly shifts into a fight for survival against overwhelming odds. Soderbergh uses piercing sounds to create a sense of growing dread about the impending doom. Even when the odds were low in Cuba, there was some hope. That feeling is gone in Bolivia, and the result is a difficult story without an upbeat conclusion. This outcome leads to a more challenging film, but it's equally intriguing because it sidesteps any type of conventional narrative. Considered as part of a single film, this story contrasts sharply with the success in Cuba. In that case, Che and his growing followers were hunting an unprepared military that didn't consider them a real threat. In this case, each action that he takes falls flat in this much-different environment. The Bolivian military responds swiftly and has the support of the U.S. to train their special forces. The American influence is a key factor because of the ramifications of Cuba's connection to the Soviet Union. Che underestimates their effect on assisting a stellar opponent that won't cave to guerrilla tactics. He's also rejected by the Bolivian people, even those who oppose the government. They're suspicious of an outsider, and many don't have the same passion to engage in an armed conflict. 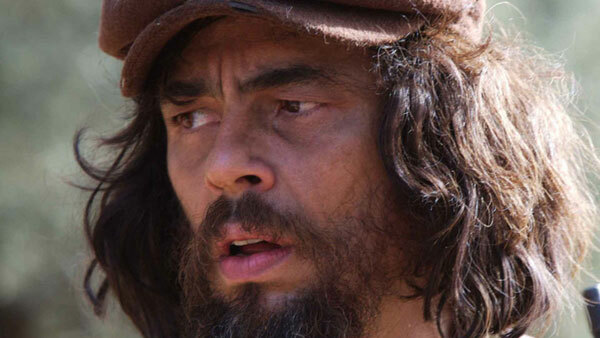 Benicio Del Toro again does remarkable work in a trickier performance because of the extremely difficult situation for the character. Che doesn't have Castro's influence to sway his friends and gain the support of the local populace. 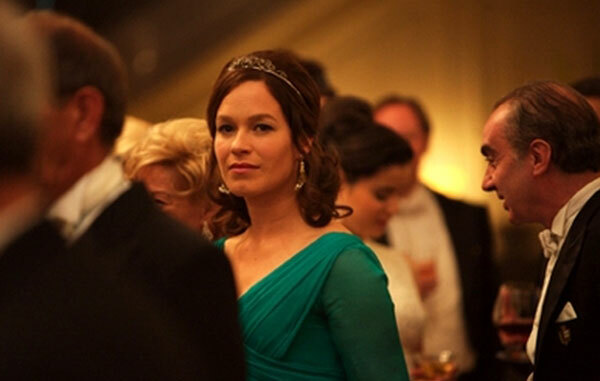 One possible ally is Tania (Franka Potente), an informer with connections inside the government. Her character seems like a possible love interest for Che but ends up creating problems. She does provide an example of an issue with this film. The supporting characters aren't as interesting, and even Potente can't make Tania an engaging character. She receives a decent amount of screen time and plays a key role in his downfall, but it's a flat performance. There are some memorable human moments, but the allies don't offer the same connection as the Cuban experience. Despite my concerns, there are still effective scenes throughout the film that make it worthwhile. The opening sequence reveals the major efforts required by Che to just sneak into Bolivia. He's too recognizable to travel without a disguise, so he must use fake teeth and dyed hair to make it inside. From the start, the odds are stacked against him, and Del Toro sells the tougher obstacles they face. The battle scenes are intense and place us right inside the action as the military surrounds the small group. These are excellent sequences and truly sell the danger lurking around every corner, even when they least expect it. Although it didn't find the audience of his mainstream films, Che represents an important step in Soderbergh's constantly evolving career. He crafted an epic story that transcended the confines of the biopic because of the time to go beyond the expected formula. There's no simple three-act structure in this picture, especially in the second part. During the final scenes, Soderbergh avoids sentimentalizing Che's fate with a Braveheart-like end. Instead, he does justice to the real-life situation by honestly revealing the tragic nature of his final days. It falls just short of the first picture but should be must-see viewing for fans of Soderbergh and film in general. Next week, I'll present my year in review with my favorite music, books, movies, and more from 2011. Also, come back tomorrow for my Top 5 Soderbergh Films.